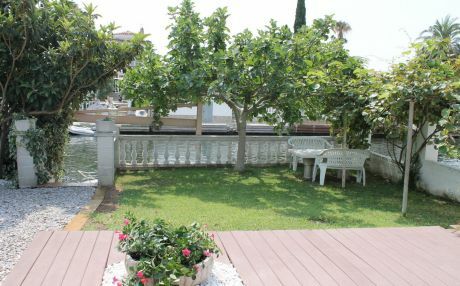 This place is known as the Venice of the Costa Brava, and one of its main attractions is its Marina, the largest residential marina in Europe, where you will find innumerable accommodation options for your holiday in Empuriabrava. 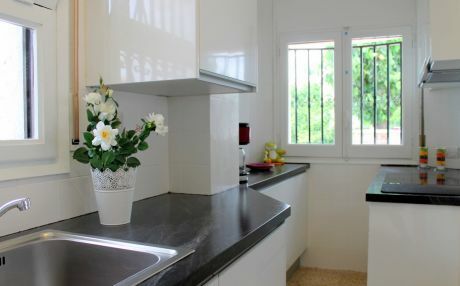 If you travel with family there is no better option than renting a house in Empuriabrava. After you unpack, you can do many excursions, as the Costa Brava has countless jewels to discover. You will also be able to do so many activities that you won’t have time for all of them. Choose among water sports, scuba diving, fishing, hiking, cycling, golf, horse riding, helicopter flights and even flights in Tunel del Viento. See our recommendation of the most beautiful places and activities in this city. Enjoy its wonderful beaches. The beauty of the Costa Brava is very well known, and here you will find stunning beaches such as Playa de les Comes, a fantastic 4km long sandy beach, Playa de Empuriabrava and Playa de Rubina, where you can bring your pets since it is one of the few pet friendly beaches in Spain. Boat trip on the canals. One of the most typical activities here is to go sailing. In case you don’t have nautical knowledge, it is best to hire a skipper to take you on a tour of the canals of the marina to better appreciate its beauty, see the impressive ships and know all the surroundings. Plus, it will save you money, since renting a house is much cheaper if you travel in group than reserving many rooms in a hotel you will have more privacy and at your own pace.. 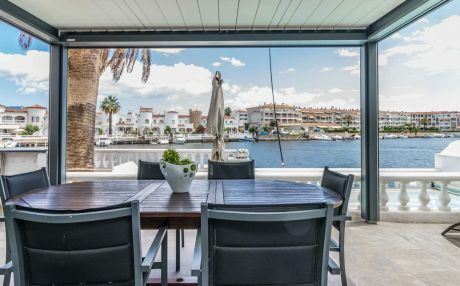 In addition to its marina, Empuriabrava is a charming medieval town with a wide historical legacy, so the options to use your time multiply. Parc dels Aiguamolls de l'Empurdà. It is the perfect place to enjoy nature in its purest form. Here, lovers of hiking and active tourism will be able to make routes to discover the second most important wetland of the Iberian Peninsula. This is also a nice family trip. Ruinas de Empuriabrava. Just 25km from the town we will find an impressive Roman archaeological site next to the sea. It was here where the Greeks and Romans first arrived, and from here they continued their expansion on the Peninsula. It is totally worth visit this place, and it is also is a very didactic visit for children. Because it is a fantastic choice. 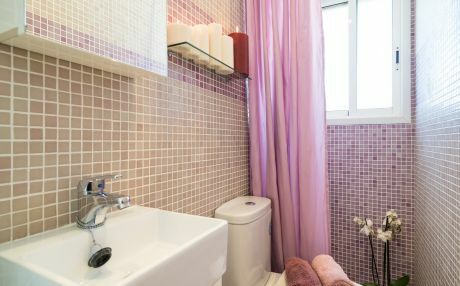 On Tripkay.com we have a wide variety of tourist accommodation, rental villas with private pool, rental bungalows in Empuriabrava, nice houses with swimming pool near the sea and even beachfront houses. 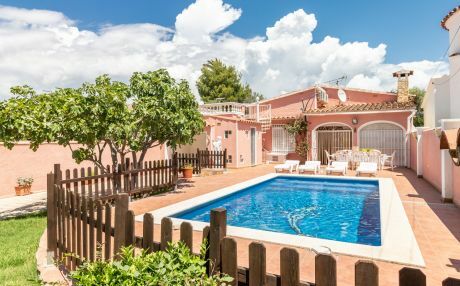 The choice is yours; depending on your needs, you can use the filter feature from our listings and select the number of rooms you would like for your holiday house, for example, if you want air conditioning, a dishwasher, or if you need a pet-friendly house. 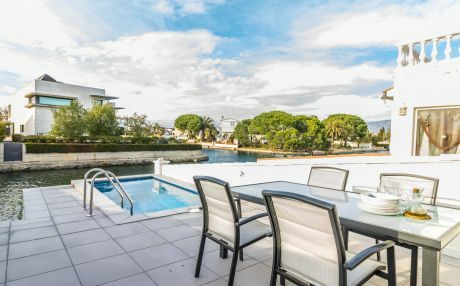 Book now and get ready to discover Empuriabrava on your next holiday.